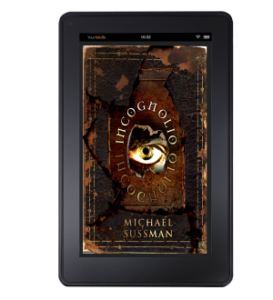 Incognolio will be released by Janx Press as a paperback and eBook on August 9th. You can pre-order the eBook now for a special price of 99 cents at Amazon, Barnes & Noble, Kobo, and Google Play. Entering the pages of Michael Sussman’s inexplicable – category-wise – brilliantly-executed experimental novel, Incognolio is less like walking through a dream than it is like mentally traversing the ingenious daydreaming path of a highly imaginative, psychologically aware writer who is creating an inner epic from the images produced by streams of self-conscious meditation. Yes, it is that immediate. The book itself is crazy; crazy cool. Need an example? ‘“Because I possess the Faloosh,” she replies, employing what is in all likelihood another of my made-up words. “It enables me to intuit the entire backstory of any novel in which I appear as a character.”’ Any attempt to describe the plot line of this book would be arbitrary at best. Still, it is a miracle of inspired effort that Sussman creates such a marvelous coherency to his story – as fractured, unstable, and tenuous as it is. And there is humor. Lots of funny stuff delivered with the offhand manner of a master comic’s best throw-away lines. 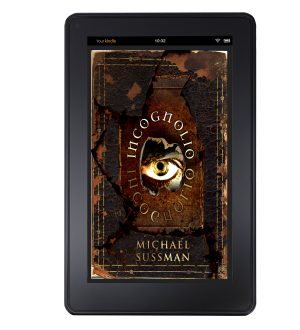 Incognolio is intelligent and wry, and securely at home in the surreal insecurity of the self-reflective mind. Dreams do not make good books. Insanity, however, does. Especially the insanity of a writer like Michael Sussman, who seemingly retains a most convivial relationship with the madness of the normal mind. Because that is what Mr. Sussman makes the reader feel: that all those sudden reality shifts, those changes of incidental characters, those displacements of locale and occupation – all are nothing more than the powerful experiences of one who pays attention to this little thing called life. But it is the author’s genuine creative skills that make his through-the-looking-glass words so entangled and enticing, and makes of his wonderful experiment such a grand success.